My friend from Canada, Anni and I were on our day 1 of our Bohol trip today. We were so glad that the weather turned out to be perfect. We thought it’s gonna rain but God has really been amazing since Anni arrived in Manila. The rain never hindered our plans. And even now that we’re here in Bohol. We had a great first day. 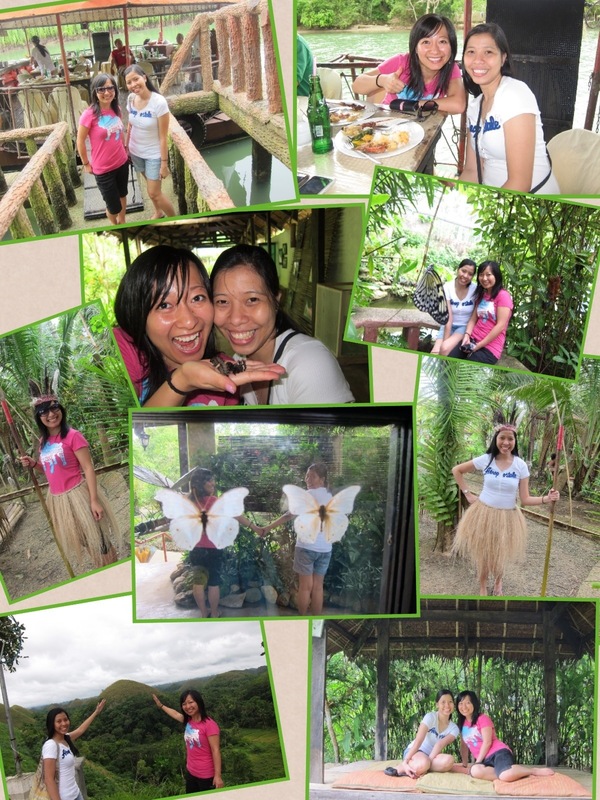 We went to Baclayon church, blood compact shrine, went to see a huge python and the cute tarsiers, Chocolate Hills of course, had buffet lunch on a river cruise, butterfly farm and man made forest. So grateful to God for being so amazing!